A truthful sad story and respectfully done in this movie. A must see. The film deals with many layers of the abortion issue and the deranged man who acts as though he is helping women, yet actually takes advantage of them. I believe the grotesque facility was portrayed realistically. Anyone who sees this film cannot help but question the pro-choice view. The characters were believable in their roles. I found Sara Jane Morris as the ADA excellent in her portrayal. The movie tastefully dealt with the subject matter, not being too graphic but just descriptive enough so that you knew what was hidden. I may actually see this a second time. If you value your fellow humans, you should see this movie. Abortion leaves in its wake many casualties— death, injury, and deep emotional scars. Gosnell preyed upon society’s most vulnerable and oppressed, knowing that he could get away with it because no one would come looking for them. “Woman’s right to choose” was a very convenient curtain under which he could operate with no oversight. We all know that abortion will always exist— but there are ways to change hearts and minds, and to support and educate vulnerable populations. Unbelievable that Gosnell's story wasn't portrayed sooner. This was a truly evil man. He didn't care about his patients and he didn't respect the law in any way, shape or form. We Have to Touch People’s Hearts Before We Can Change Their Minds If a loved one or friend is on the fence about abortion, take them to see this movie. It will open their eyes to the truth about abortion. The movie is not gory and can be seen by adults and teenagers. Although the subject matter of this movie is disturbing, it is filmed in the manner of a “Law and Order” type television show and does an excellent job of presenting the facts about abortion without showing offensive, graphic images. Just like the trial that occurred in 2013, this movie is not being promoted by the media because it tells the truth about abortion. Despite the media blackout, it was the #1 independent film on its opening weekend and the #10 film nationwide. The movie review website Rotten Tomatoes, gave it a 98% audience “like it” rating. Both the Rotten Tomatoes website and the movie’s facebook page show many instances of people reviewing the film who were “pro-choice” and whose minds were changed about abortion after seeing this movie. This film is touching people’s hearts and changing people’s minds. Take along a loved one or friend and go see it now. Very well acted, with a great cast. Captured my interest from the beginning. It told the story of a prolific serial killer, without being graphic, gory or relying on shock value. A story that needed to be told.Very well done. Excellent movie, well worth your time and money. people need to see this movie.they want you to believe it's about abortion and woman's rights. this movie is about killing of woman and those who have no voice, Live born BABIES.everyone on the jury was for woman rights. this was the most eye opening and heart breaking movie. THE DEVIL HIMSELF !! Excellent acting of an actual event. Heartbreaking; with no gore. Not a typical Hollywood movie. Highly recommend regardless of stance on abortion. Super informational movie, a must see Documentary movie. It was true. It was riveting and hits hard at atrocities of what abortionists can get away with. I wonder how many other abortionists are doing the same terrible things. It makes you think about why this is happening. It makes me wish that all young people and parents should see this film. I just want people to stop and think about consequences of their actions before they put themselves into this position. Factual yet, thankfully, not filled with typical Hollywood gore which would have been very easy to insert. The story line itself is riveting enough. Compelling, a sobering reality of "health care" gone awry. Unfortunately Dr. Gosnell was not an outlier or unique case. Many more employees of abortionists are coming forward with similar stories thanks to this story breaking. Never once appeared to be a B movie. Acting was great. Great script, superior acting, well-edited and well-made. They made a true story into what is actually a great film! Riveting true story, backed up with actual pictures (during the credits) that confirmed how realistic the movie is. Fast moving, excellent believable actors. Stunning exposure of crime against humanity! Unforgettable, riveting, and unbiased. Is this the only "Clinic" that needs to be investigated? Powerful story that was ignored by the media until forced to cover it due to the magnitude of the crime. The acting, the direction, the story line are super. While it is a story about abortion, it is a true story covering deaths that police never reported and how the politicization of abortion denies truth and reality. Abortion clinics are hardly ever held to the same standards that other clinics must abide by. Hillcrest Abortion "Clinic" in Harrisburg was finally shut down last year after it failed inspections for years, yet remained open. It took 3 state senators to go the PA Dept. Health to force an inspection and a closure after numerous violations that were never remedied. Expired medicines, unlicensed employees doing medical procedures. Everyone, pro-life or pro-abortion should see this. The film's closure is so powerful, stay for the credits to see the real photos of Gosnell's clinic and home. Great acting - True Story objectively presented. So sad. Exploiting women. This could be taking place in other places as well. Media will never investigate! This movie, helped us as normal every day people, see how some politicians use their power to abuse women. To not take care of clinics, and to not worry about how they are run.This was an eye opener, riveting, wonderfully done. It was very powerful, acting was superb, not gory, thank you for that. Showing the truth, that the media, and some politicians don’t care about taking care of women, and will always try to hide the truth. I rate this movie 5 stars because it tells the truth about what went on at Kermit Gosnell’s Philadelphia clinic that the media refused to report until they were shamed/embarrassed. It’s time that the media report the truth and not censor what the American people see, hear and read. Kudos to the two Irish journalists that had the guts to write the book and make this movie strictly on crowdfunding! 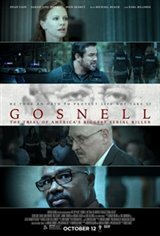 All people should see this movie no matter your thoughts on abortion because you will see how Gosnell got by murdering women and babies that were born alive for years because the Health Department and the governor looked the other way! The film is well done, not graphic and, after reading the book, I feel that the actor that played Gosnell deserves an Academy Award for portraying him just the way I envisioned him to be! powerful story. very revealing. very informative. thanks to randall theatres for their efforts in showing Gosnell. Sad to say, but it’s remarkable a movie with this theme even got made. Wouldn’t doubt if it was even a bit of a career risk for the actors to participate. Thank you for doing so, however. I cried. serial killer....really?? This depicts 1 man, who should not have been practising medicine. This DO NOT represent the activities of regulated abortion clinics and certainly isn't the 'truth' about abortion. The hidden truth about abortion! Very well done! Everyone should see this movie! This movie gripped me in a way I can’t explain. I immediately bought the book and hope to read it soon. Highly recommend. I’m going back a second time too and taking my teen nephew. I’m telling everyone I know to watch it. Excellent movie. A must see movie for all teens and adults. A law and order style movie based on a true story. This movie exposes not only the evil of Gosnell but the corruption and manipulation of media. The acting is great and I really appreciated the sensitivity of the producers to avoid the graphic details that could have been shown and were not. Well Done!!! The movie was excellent & gripping .The facts speak for themselves.